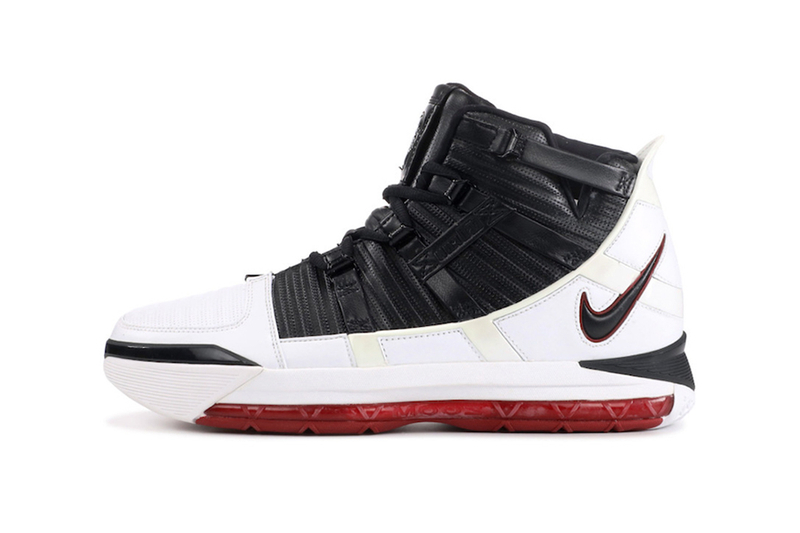 The Nike Zoom LeBron 3 is making its way back to retailers in the original ”Home” color scheme. Following the launch of the ”SuperBron“ colorway, which mixed black, white and varsity crimson, this iteration sees white patent leather overlays, a supple black leather panel around the laces and tongue, and a bright red outsole. The Nike Zoom LeBron 3 “Home” is expected to hit Nike Basketball retailers and Nike SNKRS on February 1 for $175 USD. In other kick news, you can take a look at the recently revealed Nike Adapt BB.